Apple shuttered the Manhattan store in 2017 in order to renovate and increase the size of the store, but it has been unclear exactly when to expect it will reopen to the public. According to John Powers, CEO of Boston Properties, the re-opening is not far off. Powers advised during a conference call that, while the company did not have a date for the re-opening, the launch will be "sometime in the first half of this year," according to transcripts from Seeking Alpha. Apple has been running its retail for the area in a temporary location while renovations are taking place, but it seems that as soon as Apple moves out, Under Armour is lined up to be the next tenant. Powers noted Under Armour's occupancy will be delayed because Apple is still in the temporary outlet, and will be granted access once Apple returns to its main location. The plans for the Fifth Avenue renovations involves a doubling of the underground retail space from 32,000 square feet to 77,000 square feet, with some elements believed to be reserved for a Beats 1 broadcasting zone. 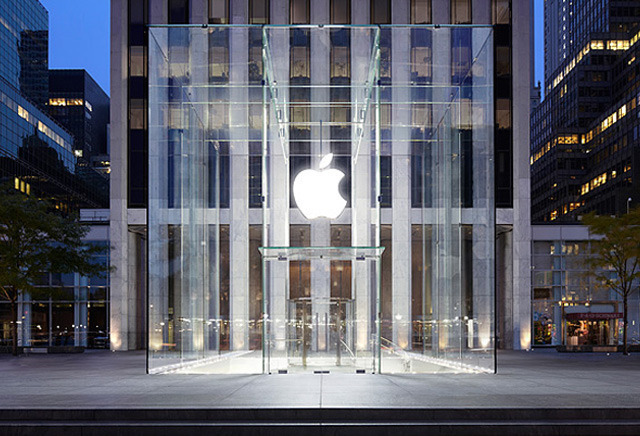 Renovations began on January 20, 2018, with Apple granted a permit to take down the iconic glass cube structure the following April, a procedure that reportedly cost up to $2 million. I was wondering yesterday if they would take down the iConic Steve Jobs cube. I'm tying to figure out how they can incorporate a Beats station inside in a non-intrusive Apple manner. Hopefully they found a way to filter the air. The old design trapped 4 feet of bad breath under the ceiling that you had to walk through to get down into the store. You sure that wasn't from the plumbing (sewer gas) ? What does it look like today? A sinkhole? Double the underground space?? IIRC it's already pretty expansive down there. Would they add another lower level? I love the possibility of a publicly viewable Beats 1 broadcasting area (maybe an adjacent mini cube?). Maybe people will actually listen to it if they also give the Music app at least a decent level of functionality in terms of social expression and exchange.